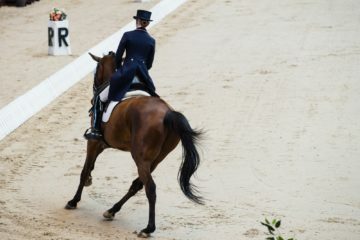 When we think of conditioning, we might picture a horse and rider getting ready for a three-day event—lots of hills, various footing, and a handy stop watch on the rider’s wrist. This doesn’t have to be only for the event horse though! 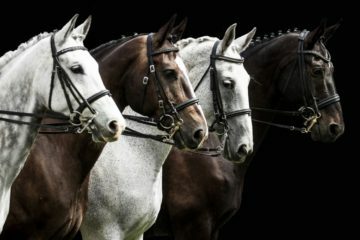 Conditioning is equally as important for the dressage horse. 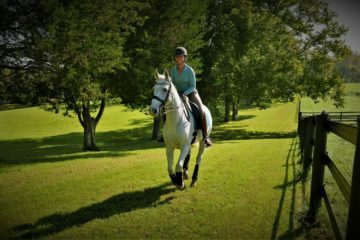 As riders, our job is to maintain both the physical and mental fitness of our horses, and physical conditioning is a fun and interesting way to step out of the arena with your horse. Step 1: Create a conditioning schedule. If you have never done so, start from the bottom and work your way up. Assume your horse has no condition and slowly build strength and stamina. Step 2: Begin with trot sets. I like to start with 4 minutes of trot sets, 2 minutes in each direction. Try changing the incline as you go. A little up and down the hill is awesome—this builds up hind-end strength, develops topline, and increases cardiovascular endurance. 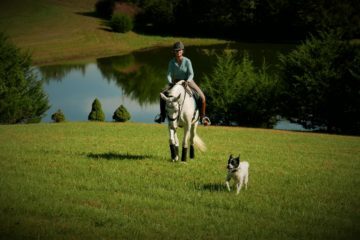 While working up and down these slight hills during your trot sets, work to keep the constant connection with your horse through the inside leg and outside rein. Ride this trot set once a week for 4 weeks and increase it by 1 minute each week. This means by the end of 4 weeks, you will be at 7 minutes of trot. You will notice how it gets easier and easier. Step 3: Add some canter work. 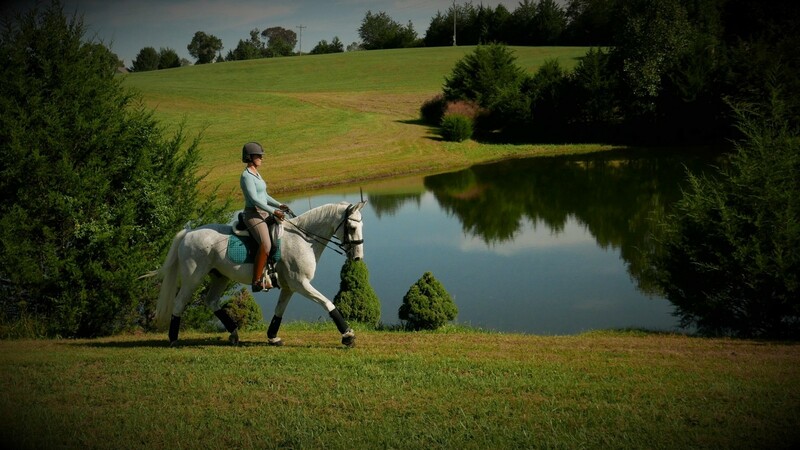 In addition to trot sets, you want to do some timed canter work. Include changes on grade if you can, small up and down hills. Start with 2 minutes of canter, 1 minute each way. Ride this 2-minute canter set for 4 weeks and increase 1 minute each week. This means by the end of 4 weeks, you will be at 5 minutes of canter. Not only will this improve your horse’s fitness, but it will also improve yours! This is a team sport, so both athletes need conditioning to work well together. Challenge yourself to do some of your trot sets in both sitting and rising trot. Same with the canter work; ride it both seated and in light seat. If you can include this conditioning drill into your weekly or biweekly work schedule with your horse, you will notice how much it can improve your horse’s performance and happiness (and probably yours too!). We are too often stuck in the arena drilling movements, and risk losing both horse and rider interest. This is a way to keep you and your horse interested and happy. Have fun!